Bardwell's Florist has been designing custom floral arrangements since 1951. Bardwell's Florist was originally started by Bud Bardwell. In 1961 his friends Don and Marilyn Holbert bought the business while Bud worked with them off and on for 10 years. Don and Marilyn were involved with the Bardwell's production till 1998, when they decided to fully retire and travel the United States. Now Bardwell's Florist is run by their son and daughter John and Jocelyn. John and Jocelyn along with their employees/designers treat every customer as if they are family and are known throughout the community for their hospitality and friendliness. 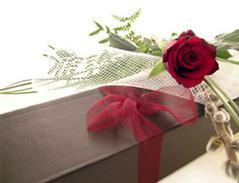 We will provide the most beautiful and romantic arrangements in a variety of styles for every occasion. Our fresh flower inventory is constantly replenished by local growers and shipments of specialty flowers throughout the world to ensure the highest quality for our customers. Our designers will be happy to arrange any style you desire to express your feelings. We have an extensive line of stuffed animals and balloons to add that special touch to any arrangement.